Dr. Antony is recognized worldwide as a leader in Lean Six Sigma methodology for achieving and sustaining process excellence. He is a certified Lean Six Sigma Master Black Belt and is a Professor of Quality Management in the School of Management and Languages at Heriot-Watt University, Edinburgh, Scotland. He founded the Center for Research in Six Sigma and Process Excellence (CRISSPE) in 2004, establishing the first research center in Europe in the field of Six Sigma. He is a Fellow of the Royal Statistical Society (UK), Fellow of the Chartered Quality Institute (CQI), Fellow of the Institute of Operations Management (FIOM), Fellow of the American Society of Quality (FASQ), and a Fellow of the Institute of the Six Sigma Professionals (ISSP). He has recently been elected to the International Academy of Quality. He has trained over 1200 people as Lean Six Sigma Yellow, Green and Black Belts from over 21 countries representing over 175 organisations in the last 12 years. Professor Antony is currently coaching and mentoring several Lean Six Sigma projects from various companies in the UK ranging from manufacturing, service to public sector organisations including the NHS, City Councils, NHS 24, Police Scotland, ACCESS, Business Stream, and University sectors. He has a proven track record for conducting internationally leading research in the field of Quality Management and Lean Six Sigma. Professor Antony has authored over 300 journal, conference and white papers and 8 text books. He has published over 100 papers on Six Sigma and Lean Six Sigma topics and is considered to be one of the highest in the world for the number of Six Sigma publications. Two of his papers published in 2002 entitled (Critical Success Factors for the successful implementation of Six Sigma projects in organisations and Key Ingredients for the effective implementation of Six Sigma program) have the highest citations making them the most referred to papers in the world in the field of Six Sigma. 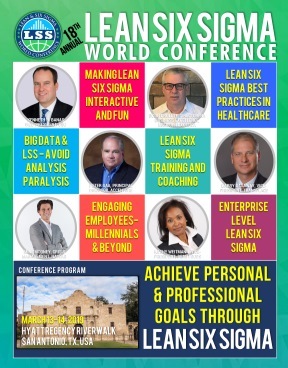 He is currently serving as the Editor of the International Journal of Lean Six Sigma and Associate Editor of the TQM and Business Excellence Journal (Europe’s top ranked Quality Management Journal) and Associate Editor of Quality in Education (ASQ). He is currently supervising the Vice President of Innovation in Google Europe, Vice President of Barclays, CEO of the Institute of Six sigma Professionals, UK, Managing Director of Seafood Scotland and Operations Director of Calachem, UK for their doctoral projects. He has been a keynote speaker for a number of international conferences including ASQ’s Annual Lean Six Sigma Conference in Phoenix, USA. Professor Antony has worked on a number of consultancy projects with several blue chip companies such as Rolls-Royce, Bosch, Siemens, Parker Pen, Siemens, Ford, Scottish Power, Tata Motors, Thales, Nokia, Philips, General Electric, NHS, Glasgow City Council, ACCESS, Scottish Water, University Sectors and a number of Small and Medium Sized Enterprises. He has been appointed as the Strategic Advisor for Continuous Improvement within Police Scotland and a local council in Scotland since 2015.